I have never seen such a eager response and extraordinary anticipation over the announcement of a new portable radio as with the new Tecsun PL-880. And I’m not surprised. You see, it has been a couple years since a really good portable radio has been introduced to the market. Plus,Tecsun has proven itself a competent radio manufacturer; the predecessors to the PL-880–i.e., the PL-660 and PL-600–are both excellent portables (I own both). Their smaller DSP radios are favorites of travelers and ultralight enthusiasts. As I was telling Jeff, over at the Herculodge blog, reviewing the PL-880 was much like attending the opening night of a play. My wife, who has worked in theatre, once told me, “the audience wants the actors to perform well.” The moment I held the PL-880 in my hands, I felt the same: I really wanted this to be a great performer, a new radio companion with which I could track down signals both weak and strong. I purchased/pre-ordered my Tecsun PL-880 from my favorite eBay seller, Anon-Co, as I’ve always been pleased with their customer service and delivery time. They’re based in Hong Kong, but my shipping time from Hong Kong via FedEx was only three days before the radio landed in my mailbox. Unlike past reviews, in which I simply post initial impressions with a full review later, I elected to spill some of my early findings on the SWLing Post as I discovered them. On the recommendation of a reader, I even photographed the unboxing; I’m glad I did, too, as it felt a bit like taking pictures of a Christmas gift being opened…which was even merrier. I was happy to see that the PL-880 was packed carefully but with very little waste. Included with the radio was a rechargeable battery, earbud headphones, a wire antenna, and a USB power cable; Anon-Co also also sent a USB wall adapter plug. The carrying case, which holds the PL-880 and its manual, is substantial, reminding me of carrying cases that used to ship with portables some time ago. The PL-880 is almost identical in size to the PL-660 and PL-600. The buttons have a highly tactile response, the tuning/volume wheels are very smooth, and feel well-engineered. The display is back-lit and has a dedicated switch on the right side of the radio–meaning that if you turn on the back-lighting, it will stay on, even if you turn off the radio. The PL-880 has all of the connections and controls I could have wished for in a portable. On the left side of the radio, it has an external antenna jack, a three-position antenna gain switch (DX, Norm, Local), a headphone jack, a line-out jack, and a 5 VDC USB input. On the right side panel, you’ll find the main tuning knob, fine-tuning knob, the volume, the back-light switch, and a tone control switch (bass/treble). On the top panel of the radio, there is also a “snooze” button. When I turned on the PL-880 for the first time and (ironically) tuned to a local AM station on 880 kHz, I was most impressed by the audio fidelity of the 880’s built-in speaker. I believe the PL-880 uses a speaker system similar to the Melson portables: a small mylar speaker cone with some sort of acoustic chamber that produces great bass tones and treble highlights. The sound is room-filling…and delightful. To begin with, please note that my impressions of performance band-by-band, below, is based on a little over one week of listening. I typically spend longer with radios before publishing a review, but with the holiday season fast approaching, readers have asked for a more rapid response. [That being said, I will of course update and adapt this review over time; but be assured that any significant updates will be noted as such]. Choosing a bandwidth couldn’t be easier: simply press the “AM BW” button to display the current bandwidth setting, then either use either tuning control to widen or narrow the filter, or press the “AM BW” button to cycle through the options. But how well do these filters work? Very well, in my opinion. Indeed, I think this is the most innovative and valuable feature of the PL-880. The filter selection gives the PL-880 some of the best selectivity for a receiver under $200 US. To test selectivity, I usually tune to a part of the shortwave broadcast spectrum with two adjacent signals, and see how well the receiver blocks the adjacent signal. In the case of the PL-880, I took it up a notch and tuned to the CW (morse code) portion of a ham band, as CW signals are spaced much closer together than broadcast signals, thus are more challenging for a receiver to select between. I was delighted to note that the PL-880 not only passed this rigorous test, but performed well above my expectations. To be clear, though, the bandwidth functionality is not without its quirks. I have yet to determine why it happens, but occasionally when I narrow the bandwidth to, say, 1.2 kHz, then begin tuning–especially when tuning quickly–it opens up to 3.0 or 2.3 kHz. Additionally, with the narrower filters does come a slight audio splatter if a signal peaks during fading (QSB); this happens regardless of the volume setting, and may actually be associated with the PL-880’s fast AGC circuit. I have found that the radio’s three-position attenuation switch is a friend in these conditions, often eliminating the splatter when attenuation is increased. But, all in all, when it comes to selectivity, the PL-880 is truly a winner. The new PL-880 ships with a number of hidden features that are, curiously enough, not documented in the operation manual nor indicated on the radio labeling (at least in this first production run of radios). Many of these secret features require that you press and hold a button for about three seconds to enable it. I’m not sure why Tecsun decided to hide these features. I’ll admit that I’ve really enjoyed hunting for and discovering them–most are terrific additions. On the other hand, it has been frustrating as well: I came close to posting an article describing what seemed to be an unfortunate audio stability problem in the PL-880, as I found that when I tuned in a weak station, if the signal level either fell below or climbed above 5, the audio gain would increase or decrease dramatically, making listening very fatiguing. A reader then discovered the hidden “muting threshold” feature, and the story changed. I found that my radio had shipped with a default threshold of “5”–I was able to turn off muting, changing the threshold to zero, and this instantly fixed the problem. Rather than explaining each hidden feature here, I have added an appendix at the bottom of this review that lists undocumented features…at least those I’ve discovered so far. I plan to list others as I–and/or Post readers–discover them. One of the first FM stations I tuned to was my benchmark NPR station (WFAE) on 90.7 FM, located about 92 miles away from my tuning locale. WFAE is line-of-site from my altitude, but serves as a benchmark nonetheless: my inexpensive receivers can’t maintain a lock on it. Through the PL-880, the broadcast sounded as if it were local–not an exceptional feat for a quality receiver such as this–but it passed my FM benchmark. Indeed, I couldn’t even hear a hint of static on the PL-880. I then tuned to several other FM stations I use as benchmarks, and the PL-880 could detect all of them comfortably. I’ll be the first to admit that I can’t claim to be an AM/medium wave DXer, although recently I have been spending much more time on the band. With that disclaimer out of the way, I find that the PL-880 certainly holds its own on the AM broadcast band (570-1600 kHz). The PL-880 can hear every local and relatively distant AM station that my C.Crane CCRadio-SW could hear. For this type of armchair listening, the PL-880’s speaker delivers fidelity that is nearly unmatched amongst portables of similar size. It’s most impressive. Also, I have to point out that the PL-880’s AGC (auto gain) circuit, as with many other Tecsun models, is just too fast for optimal weak-signal DX on medium wave or shortwave. Tecsun, if you’re listening, please slow it down a bit, or at least provide an AGC control…Thanks! [Update: Jan 1, 2013] PL-880 owners living in urban areas with strong AM (MW) stations are hearing multiple images from those stations across the MW band, making it difficult for medium wave DXing. Of course, I’ve spent the bulk of my PL-880 listening time on the shortwaves…where I find the PL-880 a pleasure to operate. The PL-880 sports both broad tuning and fine tuning controls on the right side of the radio. They’re perfectly positioned to be operated with ease by the user’s thumb. They also protrude enough from the right side of the radio so that it can be tuned much like the tuning knob of the PL-660–from the top side of the control. The keypad on the front of the PL-880 has a quality response/feel. Selecting a frequency is as easy as entering the number in kHz. No other button pushes are needed, much like the PL-660, and the Grundig G3. By pressing the “SW METER BAND” up/down controls, you can move through the broadcast bands with ease. Indeed, if you change the mode to SSB and use the same up/down arrows, the PL-880 will cycle through the amateur radio bands as well. Nice touch, Tecsun! Tuning increments are in very fine 10 Hz increments with absolutely no muting between frequencies…Brilliant. There was much speculation prior to the PL-800’s introduction as to whether it would have a built-in synchronous detector. After all, its predecessor, the PL-660, has a great sync lock that helps with selective fading and adjacent signal interference. I was very happy to discover that by pressing and holding the USB/LSB buttons, the user can activate an undocumented sync lock feature which is selectable on upper and lower side-bands. After using the sync lock on a variety of strong/weak signals, I find that I’m not exactly wooed by it, however. The PL-880’s sync detector is just not as good as the PL-660’s–not by a long shot. On weak stations, the PL-880 lock is feeble and wobbly. On strong stations, it makes the audio sound unnecessarily thin and sharp. A sub-par sync lock is not a deal-killer for me, though. Why? Because I get excellent results by simply using an SSB mode (USB/LSB) and zero-beating the AM carrier. It’s a trick well known in the SWLing world under many names–I call it ECR (exalted carrier reception)–click here for a previous article on the topic. This method rivals the PL-660’s sync lock under similar conditions. And as a bonus, the PL-880 bandwidths can be widened to 4 kHz, allowing near-AM fidelity in SSB. How does the PL-880 compare with the PL-660, SW7600GR? A few days ago, I spent some time comparing the shortwave sensitivity and selectivity of the Tecsun PL-880, PL-660, and the Sony ICF-SW7600GR. Instead of shooting a video on my iPhone (which lacks a good mic), I used my newly-replaced Zoom H2N digital recorder with a direct, line-in connection. I did my best to match the volume levels in the radios for a fair competition. Note that while the Sony and the PL-880 have line-out jacks (a major plus, in my opinion), the PL-880’s line-out audio level is set way too high and overloaded the Zoom recorder; the FM line level can be adjusted, however. The first test was in AM, and I chose Radio Exterior de España on 9,605 kHz, which was moderately weak compared to other broadcasters on the 31 meter band. I recorded one minute clips. Halfway through the PL-660 and ICF-SW7600GR clips, I turned on the sync detector. On the PL-880, I simply turned on SSB, as I did not feel that its sync detector added to intelligibility. I then tuned all of the radios to 18,135 kHz, where ZD8UW (The Cambridge University Wireless Society) Ascension Island DXpedition was handling a pile-up. You won’t hear stations calling ZD8UW, because they were working split and listening on 18,141 kHz. There is an adjacent SSB station, though, that you’ll hear on the side. The PL-880 is certainly sensitive on the shortwave bands, but when listening via headphones (as in this example), there’s sometimes a bit of splatter when the audio peaks. The PL-880 demonstrates great selectivity, as promised. In the SSB example above, the PL-880’s 3 kHz filter successfully rejected the adjacent signal much more cleanly than the narrow filter on the PL-660 could. PL-660 vs. PL-880: Which is the better radio? In my tests, the Tecsun PL-660 does a fine job of holding its own against the PL-880, and is certainly the best bargain of the two at $100-$120 US. In general, I find the PL-660 to have an edge on the PL-880 in terms of sensitivity. While I prefer the audio characteristics of the PL-880’s internal speaker compared to that of the PL-660, vocals seem to pop out of the noise better with the PL-660. But comparing these two radios in terms of sensitivity is problematic, as it’s not an “apples-to-apples” comparison. In the examples above, I tried to keep the playing field level by leaving the PL-880 on one bandwidth setting and not using the hidden DNR feature (which seems to alter the bandwidth and lower the noise floor). It’s certainly possible some users may be able to tweak the PL-880 to give it an edge on the PL-660 in similar conditions. Whether or not you should buy the PL-660 or the more expensive PL-880 will clearly depend upon your listening goals. If it’s to pull out voices from the static, for station ID and weak signal DXing, the PL-660 is your radio. If you want armchair listening of shortwave broadcasts with very low listening fatigue, go ahead and splurge for the PL-880. If you want a simple, straightforward portable, the PL-660 is your best option. If you like to tinker with settings, and enjoy all a radio’s bells and whistles–including tracking down hidden ones!–the PL-880 is your radio. If your goal is to listen to SSB broadcasts (pirate radio, utility stations, ham radio traffic, so forth) both radios will do a fine job, but the PL-880 is more versatile and, again, has better selectivity. Frankly, I will keep both radios in my listening arsenal. Which will I turn to the most? While I love the PL-660, I’m a sucker for the more dynamic, rich audio of the PL-880. To me, any difference in sensitivity is negligible. hidden features (see list at review’s end), some of which have major relevance in operation, such as changing the muting threshold; Tecsun, why hide these? All in all, I really like the PL-880. It’s a quirky little rig that boasts more features than any other portable I’ve ever used (save the Eton E1). It’s sensitive, selective, has silky-smooth tuning and robust audio…but it’s not perfect. Many of the cons listed above could be fixed with firmware updates…ones which I hope users can make at home as opposed to needing to buy a newly-updated radio. And, Tecsun, I hope you add those hidden features to future operation manuals. We’re keeping track of them here, and on the Yahoo PL-880 group, but some recipients may never realize the muting threshold, for example, can be adjusted. Tecsun, if you feel like these features aren’t ready for production, simply label them as beta or experimental features, and go for it anyway. With all of its features and functions, hidden or not, I’ve found the PL-880 to be a challenging, but thoroughly enjoyable, portable to evaluate. Indeed, I’m still not done yet: I plan to take my new PL-880 traveling in the future. So, stay tuned: there’s more to come! Check Tecsun PL-880 pricing on Amazon.com. You can follow all Tecsun PL-880 updates by bookmarking/checking this link. This entry was posted in New Products, News, Radios, Recordings, Shortwave Radio and tagged PL-880, Sony, Sony ICF-SW7600GR, Sony vs Tecsun, Tecsun, Tecsun PL-660, Tecsun PL-880, Tecsun PL-880 Hidden Features, Tecsun PL-880 List of hidden features, Tecsun PL-880 Sync Detector, Tecsun PL-880 Sync Lock Feature on December 12, 2013 by Thomas. John, thanks for the info. My reply to Thomas applies to you also. Unlike the CC Skywave, the CC Skywave SSB covers all the way up to 30 megahertz. It also has Upper and Lower sideband to listen to ham operators and other stations that broadcast in SSB only. The radio also covers the Aircraft Band and the NOAA Weather channels plus AM and FM. This radio is very compact but don’t let the small size fool you. It’s a great little radio with great reception. The only problems I have encountered with this radio is that when you switch on or off on the upper or lower sidebands, there is about a three second delay. Also, there is a brief no audio when scanning frequencies. Other features I wish the radio had was an antenna input. It only receives via the small antenna and the built in ferrite AM antenna. The sound quality is pretty good for the size of the radio. 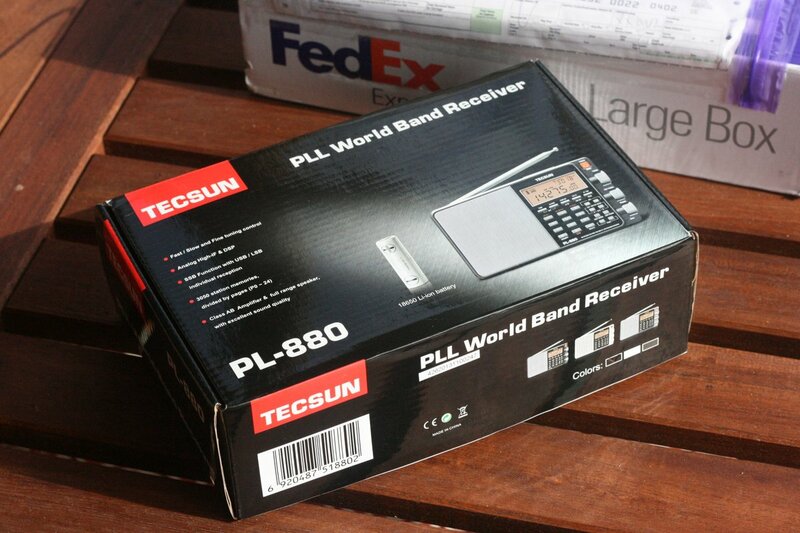 The PL-880 is strictly AM/FM/Shortwave. There is no aircraft band or weather band built into this radio. However, there are so many features this radio has, it is probably the best bet for you if you are only buying one radio. The sound quality is excellent and if you’ve read a lot of the posts above this one, you’ll see that there are a lot of “HIDDEN” features on the radio. When charging the battery on this radio, it shows the actually charge time. There is also a hidden feature that shows how long you’ve used the radio since it’s last charge. One charge will get you between twelve to sixteen hours of use. This radio does have an antenna input for Shortwave Only (not Am/FM). The main thing I like with this radio is there is no cut out of audio when tuning through the frequencies. It just smoothly moves through each frequency make it much faster when searching for stations. There’s just too much to list concerning all of the features of this radio. The only thing I would change on this radio would be to have a separate AM radio external antenna input although there is a way to make the shortwave antenna input into an AM radio antenna input (another one of the many hidden features) or if you’re into AM DXing as I am, you can even purchase the Tecsun AN-200 Loop Antenna. Just put it by the Tecsun radio (No connection necessary) and with the tuning dial on the AN-200, just tune until you see the signal increase significantly. If there was one other thing I could change, it would be the color of the display. I hate the orange color. I wish it were light blue but that’s just me. Overall, between the CC Skywave and the Tecsun PL-880, I personally would recommend the Tecsun PL-880. Hi. New to SW so please excuse the lack of knowledge. I’m looking to buy my FIRST and probably ONLY radio. It’s been very confusing. Short list is… PL-880, Sangean 909x, and the C Crane Skywave SSB. Has anyone here done a direct comparison? Does one of these 3 stand out above the others? My preference at the moment is the C Crane Skywave SSB, partly due to the Weather band. If you didn’t need SSB reception (sounds like you do want it) you might consider the original Skywave which is much less in terms of cost. The Skywave SSB is a great unit and I think C.Crane have sorted out the issues from the first production run. 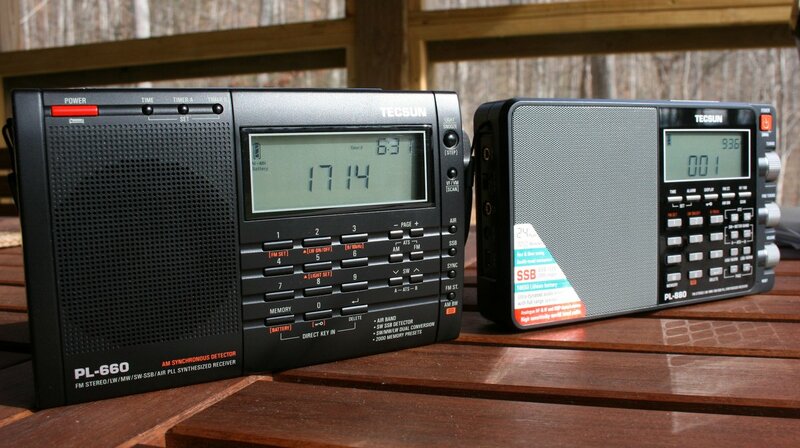 You really can’t go wrong with the PL-880 either–great all around radio with excellent audio. The ATS-909X is a good receiver, but pretty pricey. It’s an especially good portable if you plan to connect an external antenna. I’ve found with the built-in whip, though, it lacks the sensitivity of the PL-880, PL-680 and PL-660. Thanks for the reply Thomas. Yes, SSB is one of the things I’d like. So is the weather band. Air…not so important but nice. So that means the Skywave SSB, OR the PL-880 PLUS a dedicated weather radio. (I have one in the apartment but need a portable). I have read about the first run ‘issues’ with the Skywave SSB and was wondering if they had been resolved. I think I have ruled out the ATS-909X. Update on the Tecsun PL-880. In previous posts I have concluded that the 880 is a disappointing radio. I still am disappointed because in my opinion a radio should perform good as it comes without external extras. However I must make a correction. As I have mentioned, I have bought the radio mainly for MW reception. On MW it is rather deaf, not only my unit but also the other one I had here to compare the two units. They performed absolutely identical. But MW came to life if an adittional antenna is used. In this case, the Kaito AN-200, also available under other names. And I must say, the PL-880 shines also on MW if that antenna is used. It can handle strong signals with ease and if overloading happens the gain switch helps out. I have been able to log quite a number of very low power MW stations. And low power stations in Holland means powers up to 100Watts maximum. All during daytime conditions, so no sky wave interferences present. The maximum distance for such a station to be received on my location was about 100kms away. The AN-200 is such a good addition that the PL-880 should be on your short list again, so order them together. 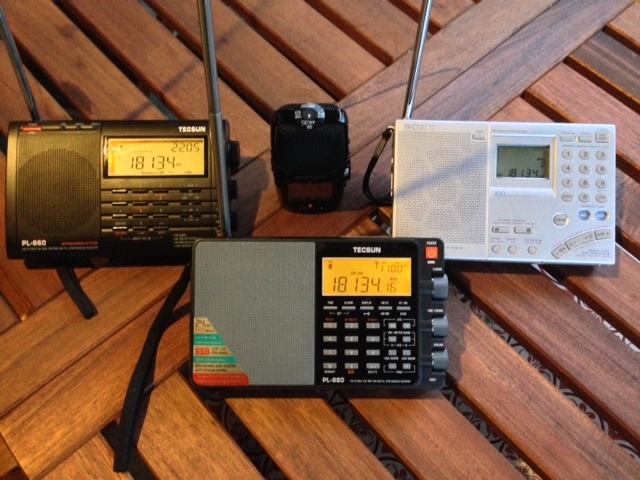 It seems the compact size of these radios is the main reason the results on MW/LW suffer. There is simply not enough space for a long enough internal ferrite bar. Tuning the AN-200 is easy but do take your time to turn the knob very slowly because even the slightest misadjustment means unnessesary extra noise. The antenna also improves the 880’s only mediocre dynamic range on MW considerably. So the extra investment is absolutely well spent. Time spent with the combination before posting this thread was one week, four listening hours per day. So this combination turns the PL-880 into a real long distance receiver on MW. The sync detection however remains a useless feature, even used with the AN-200. Since the radio has no connection for an external MW antenna, the AN-200 was placed right next to the radio. The magnetic coupling works absolutely flawless. Ed: the Sangean 909x is a highly-regarded radio, but there is an important difference in that radio compared to the PL-880, according to reviews. Although I do not own one, I have seen many reviews stating that the 909x does not have great sensitivity on the SW bands with the built-in telescoping antenna. You allegedly need to use an external antenna to get good SW reception with it, unlike the PL-880, which is allegedly made to work well on SW with the built-in antenna. I’ve noted all the pros and cons on the PL-880, not only on this site, but others. The probable cause for the negative remarks may be a quality control problem at the factory, OR units being delivered with different settings, thus causing the new owner to think their unit is defective. Also, the Owners Manual should include a “pre-flight” checklist of all the settings, before turning on the unit. All those “hidden features” should also be listed, and not left to the user to hunt for them, or stumble across them. It seems some problems could have been solved had the user known about those “hidden features” beforehand. I’m still considering what unit to purchase; the Sangean 909X, or the Tecsun PL-880. What I like about the Sangean brand is their quality control, ergonomic design, and straight forward operation. But both units have features that I wish the other one had!! I purchased my PL880 from Anon-co too. Before purchasing I wrote to ask her if it had the latest software and she confirmed to me that it did and also gave me a lot helpful information. In other words, Anna goes above and beyond. Since that time, I’ve purchased other items from Anon-co and have been very happy. One item in particular that I asked her about was the Tecsun AN-200 loop antenna which she told me compliments the PL-880 nicely. For those unaware, the Tecsun AN-200 is for AM DX’ers. I purchased one from Anon-co and it works fantastic. There is no need for hooking up an antenna jack (the antenna jack on the PL-880 is for Shortwave, not AM). You simply put it by the PL-880 (or any other am radio), tune to a weak AM station and adjust the knob on the AN-200 and you’ll be surprised at how strong the station becomes. For those interested, this is the link to Anon-Co who sells the AN-200. I’ve been very happy with Anon-co and would highly recommend purchasing from Anna. Yep, the AN200 and AN100 are VERY useful accessories! I’ve used them with both the PL660 and PL880 with great success. Be aware tho that ONLY the inductive coupling method you describe works with an unmodified radio; direct coupling via cable to the antenna jack ONLY works with some fancy “hidden features” keystrokes, and it’s sort of awkward to do. seem to be detrimental. On AM BCB, the signal improved immediately when the loop was taken away, and the radio’s internal loopstick was employed. Just a note re. kudos to Anon-co re. customer support. I got a PL880 late last year, and LOVED it; so much so that I ordered a second one, the “special edition” version, both radios from Anon-co. While waiting for the second radio to be delivered, my first one developed a bug; the AM broadcast band was dead at turn-on. Sometimes switching to FM and back to AM made it work… not good. The second radio arrived, and it worked on short wave for about 5 minutes, and went dead. Turning it off and waiting a while brought it back… but it would die in 5 – 10 minutes again. I wrote Anon-co about the problems, and Anna addressed the problems. After the usual fixes (reset, pulling the battery for a half hour and reinserting to reboot the processor) failed, she had me send both radios back for factory service. Anon-co covered the cost of the FedEx to get them back to Hong Kong. A half hour ago I got a note from Anna. The newest radio is confirmed dead; they’re replacing it. The older radio (sent for repairs under warranty) seems to have developed a bug that the technicians have never seen before. They say that diagnosis and repair could be very difficult… therefore they are replacing THAT radio too! I’m a happy camper with that solution… and I can’t praise Anon-co and Anna too highly! FIRST RATE customer service!!! Greetings, It’s time to replace the battery in my PL-880. I see lots of 18650 batteries on Amazon greater than the original Tecsun 2000 mah specified 18650 battery. Is there a recommended battery upgrade for the PL-880? May I go with a higher mah battery, or will that create problems? Or should I just replace it with the 2000 mah? Thank you for your recommendations and insight! Pay attention to the weight of 18650. Buy with maximum weight. ;=). It would be more correct. Their capacity on average does not exceed 2000 … 2500. No problem. Anyone have a good used 880 for sale? I have very limited funds but would like to get one. I have Tecsun PL-880 firmware 8820 – without “fine tuning bug”. Good radio but has some disadvantages. Memory error – after saving SW SSB to banks 1-24 (by default the radio forces the bank to write 0) and using AutoSort function their modulation changes from LSB / USB to AM. Besides, in my radio, the LW / MW / SW reception temporarily disappears, it looks like a factory defect. I have Tecsun PL-880 firmware 880 – without “fine tuning bug”. Thanks for such a thorough review! I was just getting into this stuff and grabbed a PL-600 for around $80 at the time and it’s serving me quite well. I’d be interested in upgrading but the 880 doesn’t seem like a big upgrade in general and I do a lot of AM listening. I think the PL-660 might be better for me, but it’s hard to justify a $150 upgrade (the cost in CAD now due to exchange). So I think I’ll keep my 600 until maybe a 990 comes along or something. Is there anything in the 660 that makes it THAT much better than the 600 for a casual listener like me? Besides the SSS or whatever, can’t think of much.. I do like the lithium battery since I got a 18650 charger and a few spares, but not a huge deal. The charger they gave me is 240 volts only so I charge my batteries separately, which is more convenient for me anyway. I have the PL880 and it is a really nice radio. That said, I also have a CC Skywave radio. Much to my surprise, reception wise, the CC Skywave out performs the PL880, especially if you are trying to hear stations between 1600 and 1710 am. Tone wise, the PL880 has a much deeper tone but the bass does make it a little bit harder when DX’ing AM. I just wish the CC Skywave covered all the way up to 30 mhz like the PL880 does and also had upper and lower sidebands. Also, the CC Skywave has Aircraft band and weather bands which the PL880 does not have. Size wise, the PL880 is a larger radio whereas the CC Skywave is about the size of a cell phone. You didn’t mention where you were from. I’m here in Southeast Connecticut. Best wishes. Has anyones 880 got a problem with overdriving audio only in ssb? AM is perfect, and better audio then most of my other portables… SSB however seems to start crackling as you turn the volume up, also when listening to hams with stronger signals, their voice peaks especially will crackle the speaker a lot, reducing the volume right down won’t remedy this either. Is this possibly clipping? I know it sounds like an amplifier on a hifi that is being overdriven. It is driving me crazy as the receiver as a whole is fantastic and, if it wasn’t for this crackle, would easily be the best portable in my collection…..
Any help with this would be great please. It’s worth adding, this happens through the headphones jack and line out too. I had two versions 8819 and 8820 and the SSB was poor on both of them. I have the same squeezy SSB audio when the strengh of the signal is strong. I guess that the AGC circuitry is not top notch designed. here in Belguim, there are several strong transmitters. I have a grundig satelitte 700, and this is the best portable they ever made,…on fm. There’s an antenna gain switch on the side; does this do anything for you? Tecsun just is unable to meet the expectations I have in the year 2016. In the year 2016 I would expect an more SDR-like portable and not a receiver which is imitatating 20-30 year old technology and design again and again and again. I believe the PL-880 is highly over rated. I would return mine, but I don’t want to go thru the red tape that would be involved. I am seriously thinking of purchasing the PL-880 but have read all of these reviews. Is there anyone who can answer these questions for me? 1. Are all units now sold with firmware version 8820? 2. Did they fix that reverse fine tuning problem that working in reverse on SSB operation? 3. Have any other bugs that have been noticed been resolved? Thanks for any info you guys/gals can supply me with in helping me make my decision on purchasing this unit. Hi, I was looking these comments over and thought I would very likely solve a whole lotta problems for folks experiencing strange effects on their PL-880, I would hope the “site manager pays particularly apt attention to this solution” as I see many folks becoming discouraged due to the issues, which could really run the gamut. I believe I would wager a sum that the majority of people experiencing CPU issues(bandwidth roller coaster effects and so on)read one of these reviews and chose to activate certain special hidden features within the device, such as Muting, Noise Reduction ect… To do so you have to first toggle on button FOUR(4) with the unit powered down, this will open up all of those nifty functions, however it is of vital importance that after effecting your changes you also remember to GO BACK and TOGGLE OFF the FOUR(4)button or otherwise you will leave the unit in the factory que, and the main tuning and fine tuning dials will contribute all sorts of mayhem & havoc as you attempt normal operations. For instance if left toggled on, the main tuning dial will when rotated top(away from operator)serve to continuously rotate through the bandwidths, and the fine tuning dial will seem to work in reverse and so on. I own a PL880 for more than a year now, I am very impressed with its performance, very sensitive, I have never needed the wire antenna that came with, the audio quality is excellent, the vfo is very stable for ssb reception and the filtering of the audio bandwith help a lot to get rid of adjacent stations desensing and creating qrm. What I like the most is the long lasting of its battery, once its charged it will last few months depending of how often you use it. “Tecsun PL-880 “FINE TUNING” bug solved by Anon-Co” ltd.
Now it’s time to solve not a problem , but some discrepancy between the parameters concerning the bandwidth in SSB, especially at 3 and 4 kHz, where there is no difference except the peak at 4 kHz. This bug is in all the receivers. I have packed this radio away. I am sticking to my Grundig G-5 which is more easy to tune ssb. I ended up doing similar except I went back to my Grundig 750. Any news about “tuning knob bug”? The Chinese wrote back that there was a change in the hardware and the software is the same. At the moment Ido not know about the new version, which will remove the error. The defect which I described in my previous post is present in ALL NEW RECEIVERS with firmware 8820. 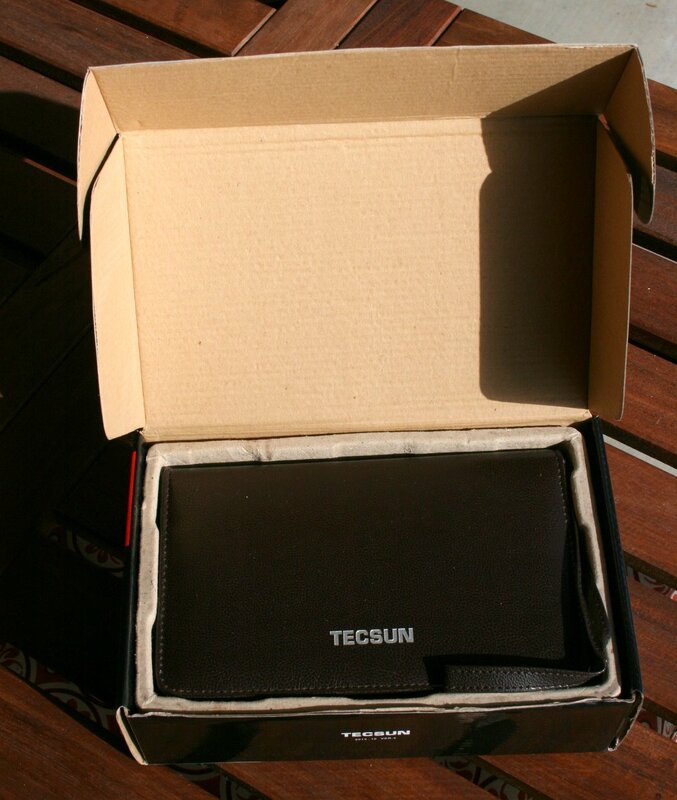 The company TECSUN says that it has to be. I regret that I bought was this receiver, the previous version of 8820 was without this defect. my new pl880 seemed a bit stiff on the tune knobs.i looked at it closely.knobs were dragging against the frame or shell.i used my pocket knife and gently eased the tune knobs out just a tiny bit.now they are smooth and really feel nice when using them.volume is kinda dragging but i left it that way .so if anybody feels theirs seems a tad tight try that.so far im very satisfied with my radio.its lived up to my expctations and more. has aybody found any more hidden things on the latest verson? In October 2015 I bought a receiver TECSUN PL-880 firmware 8820 in the company ErcomeR (www.ercomer.pl). It is a serious manufacturing defect. Knob described as fine tuning in SSB mode works in the opposite direction. Change the display frequency is correct, however, the actual frequency varies in the opposite direction. This happens until the 00 – equalizing the received frequency of the displayed frequency. The defect relates to the production batch from October 2015. Production batch of May 2015 is working properly. I have a PL-880 and it has similar significant failings, I suspect most of their units are defective in one way or another, as I found most of Kaito/Degen radios to be, I hope to return it to Universal radio for a full refund or replacement depending on whether the warranty is still in effect. I am kind of appalled by how many think this thing to be well built, its the cheapest plastic I have ever seen used in electronics, oh well I guess so very many of you never had the opportunity to own one of the good radios from Grundig, Sony or Sangean back in the day when none of them were made in China. At any rate the radio I have changes bandwidths every time you change over from MW to SW, or SSB, and I do mean every time, sometimes its changes bandwidths between frequencies!!! I tried resetting the thing a number of ways all to zero effect, essentially you have to check bandwidth every time you flip over, its clearly a firmware issue, and it is not amusing to say the least. Mine is 8820. It could be a great little set, but they simply are engineering in to much bling and not nearly enough practicality, especially lacking is quality of construction. I also get bizarre issues when using an outboard antenna which really gets the thing ripping through bandwidths…. I will never buy a Tecsun product again, its just junk, and its to bad because if they had focused on quality rather then units shipped it could have been a very nice radio. My speaker rattles, it has terrible button bounce, firmware issues, along with truly cheesy build quality. These cheap Chinese portables are one thing at $50.00, and something else altogether at $160.00. I was going to try the eton Executive Sat Grundig unit but that is just a rebadged Tecsun or Degen or whatever, and it will last about a year or so and then fail, or come already pre-loaded with fail. If you were to pay close attention to rates of defect on these things, you would discover they are virtually approaching 100%! don´t worry about the battery. I have this nice Little Receiver in use for two years. Once a month I am loading the battery over night. I can´t tell how many hours I do listening. Generally it wakes me with my local FM Station and when the QRM in my aerea (Bünde/Germany) is too strong I some times stay tuned for hours. For travelling I would recommend some loadable back-up battery like the ones for a smartphone or a mobile. Last week my wife got a 10,000 mA one for her Smartphone, costs 15€ here in Germany – it even has a nice powerfull led-lamp and it´s small about the size of a box of cigarrettes. You can choose the size that fits to You, and it should be found in almost every shopping-hall. By the way last weekend I measured a voltage of 2V between the earth and antenna at the plug. Has anyone done an experiment with this – a simple plug in active antenna or so? And are there firmware-updates (mine is 8820) or has someone hacked the device? Sounds like a great radio, but it sounds like a lot of futzing with batteries. Does anybody know of a good radio like this that just runs on old fashion AA’s? If any of you have ideas for what you would like the next model to have, put them in the comments. I am going to put a post on my blog: swcheap.blogspot.com with these ideas to share with Tecsun to help them do the best job possible with their next “elite” portable. Any chance Tecsun will release an updated 880 with a proper sync lock with its own button? If so then I will buy. I have owned this radio for four months and I am very pleased. The audio on this receiver is excellent and is clearer than my giant Grundig Satellit 750 (although not as loud). Also, the 880 has triple conversion circuitry, which I believe hasn’t ever been implemented into a shortwave portable. If you are thinking about purchasing a mid-priced shortwave receiver, then this radio is an excellent choice, however, just be aware that the hidden synchronous detector is completely USELESS as it only holds on to the strongest stations. Hi!, I don’t know about the material like the Mylar in these radios, I have a Tecsun ICR-110 and surprised with the good audio quality for so little unit I decided open it; and I discover a great surprise ¡a mini passive radiator in a little box that makes of baffle! The compartment and sound are similar in the two model of radios so I invite all you to open your Tecsun PL-880 and check it for yourself! I have really come to appreciate this site since discovering it last week. One quick question on the PL-880. Can the radio be powered by AA batteries in a pinch or must the rechargeable 18650A be used? I am trying to standardize on AA alkaline or rechargeable battery size. Does the PL880 receive DRM signals? If not, what receiver would you recommend for this? No–the PL-880 does not receive DRM signals. Indeed, the only portable on the market that can receive DRM is the Newstar DR-111–it’s not a well-reviewed portable, though. The C.Crane CCRadio-SW can decode DRM, but it requires a separate unit hooked up to its IF out and a PC. Having done some more Web-searching, I have come to the same conclusion. Does anyone know how the sensitivity of this model compares to the Sony ICF-SW07? I had a PL-660 for 11 months, when it failed to turn on and just flashed a “lo Batt” message…even though I wasn’t using batteries. I contacted the sellers in California,Kaito, and they had me ship the defective one back, and sent me a replacement. This radio lasted about 5 minutesbefore shutting down. This was late November , 2014. Sent it back, and that replacement lasted about 5 minutes. That was December. Sent that one back, and that replacement, again, lasted about 5 minutes, before losing sound and then shutting down dead. That’s four PL-660’s in a year. I give up. Ever heard anything like this? Sounds like a linear power adapter breaking, which would have nothing to do with the actual radios but would cause the adapter to output a significantly higher voltage than 6 volts. I recently opened the PL-880 and took some photos of the inside as well as of the Si DSP Chip being used. The photos are posted in the PL-880 Yahoo group. The PL-880 uses the Si4735, Firmware Revision 6.O DSP Chip. Interestingly enough, I have also opened and verified that the new Eton Satellit as well as the new GP-5/SSB also use the same Si4735 DSP chip. I am not to surprised at this as the SSB and sync on the PL-880 and the Eton Satellit are very similar. I notice you had a list of radios using the Si4734 DSP Chip, so now you can start a new list for the Si4735. If you not already tried, use a small paper clip or a sharp end of a ROUND toothpick and insert in the reset hole. If you not already tried, use a small paper clip or the pointed end tooth pick. Insert gently into reset hole of the radio. I received tecsun pll-660 as a gift, still in box and will not power on. How do I reach customer service for a replacement or repair? I understand this was a gift, but it would be beneficial if you knew who your friend/family purchased the PL-660 from. I don’t know how easy it would be to have a manufacturer’s warranty take effect if you have no proof of purchase within your country. If you’re in the US, and the PL-660 was purchased from Universal Radio, Kaito or Amazon.com, and you have proof, getting a replacement will be pretty easy. Wish I had better advice, but Tecsun is based in China and (to my knowledge) the warranty is only valid within your country if you purchased from an authorized retailer. If it was purchased directly from a supplier in Hong Kong, they will often honor a warranty and replace the unit if you ship it back to them. Sorry to hear the PL-660 was DOA–this is not common for this radio. I bought a C. Crane Witness AC Adapter to try it out on the PL-880. It is rated at 900 mA, more than enough to handle the PL-880. I think it is more than reasonable at $14.95. I am happy to say that it works very well on the PL-880 and does not introduce any noise in any mode , even when the PL-880 is recharging the internal Battery. I also ran the PL-880 in Shortwave without the battery with no problems off of this AC Adapter. All in all, it is very well filtered, and thus quiet. I can highly recommend it for use with the PL-880. Ive noticed a rattling distortion type of sound when using SSB. Its only intermittent and reduces slightly when changing from dx to local. This sound doesnt happen any other modulation . Have you got any ideas. Thanks. Can I use the use the USB cable received with the PL-880 to charge the battery? top to charge the battery? I live in southern Brazil, and recently I bought a unit Tecsun PL-880 (8820). Wonderful sound, but with a defect in the FM band. Above 100 Mhz has very little sensitivity to the point of not listening to an FM 106.7 Mhz with 3 Kw to 24 miles. My favorite is the frequency of FM DX. Sony 7600GR easily beats the PL-880 above 100 MHz. Sony is robust and there is no variation in sensitivity between 88-108 MHz. Their only problem is that he does not reject spurious signals and images. I live very close to FMs and can not use it to DX. The FM band is making spurious signals with Sony. Not so with the PL-880, which is wonderful in rejection. I am new to SW and am awaiting my PL 880. My research before buying led to Tom on Youtube and various websites. Through his recommendation I chose this model for its audio quality; Chose Anon to purchase. Watched many of his videos and must say his explanations are great balance between newbie and expert jargon. I can tell the difference between someone whose ego screams “i’m famous” and one who is truly dedicated to his craft. Thanks Tom, you’re a class act I’m learning from daily. When 880 arrives I will be able to jump in with much advance knowledge. I mostly listen to MW broadcast stations on my PL-880. The sound is excellent but the sensitivity of this, or any other portable I’ve ever used and there have been plenty, doesn’t match that of my elderly Sony ICF-7600A. Hi. Do you have any further information on the mandatory squelch that would not go away as talked about in an earlier comment? Or was this only for the older firmware version. Had some time to check MW AM performance. This radio has even more ghost image problems than the PL-660. I have had 3 or more ghost images for every strong BCB transmitter in the area, and there are at least 4 where I live. There are so many pile ups from Ghost Images in the BCB that MW DXing is all but impossible. The attenuator switch does not affect the ferrite rod antenna, so no joy there. It appears that little attention was paid to the BCB and MW DXing in the design of this radio. Yours is the third comment I’ve heard about MW images from strong stations recently. I’m going to update the review with a note about this. I live in an area that has no blowtorch stations, save one that is strong due only to proximity. A couple of days ago I received my TECSUN PL880 from Anon-co with the latest firmware loaded. Also I own two other TECSUN receivers PL398MP and PL390. Comparing side by side the PL880 FM sensitivity with this two other receivers, I have found the PL39x receivers seems to display always higher levels of signal than the PL880. That surprises me a little. Excellent review. With the price of the Sangean 909x coming down it seems to be direct competition with the Tecsun PL-880. Has anyone compared the two radios? I think I will end up needing to decide between the two. I plan to get a 909X and compare it to the PL-880, but it probably won’t happen until well after the new year due to a lack of time. I’m very curious if anyone else out there has made the comparison. I wonder if the bandwidth changes seen on SSB tuning is just operator error. If you change the bandwith with the BW-button, you have to *wait* until the readout goes from BW to frequency before start tuning. Else you will adjust bandwith, not frequency. A question, how can a future firmware update be done on thsi radio, technically ??? I don’t believe so–at least, someone on the PL-880 Yahoo group checked the USB port on the 880 and claims that it lacks the data pins necessary to do a firmware update. I have not verified this, though. Thanks for your review and your website in general. I find myself here more and more often! I just purchased the PL880 from Kaito and got firmware version 8819. I thought I’d post some impressions after spending about a day with it. All in all, I don’t know if I’ve ever had more mixed feelings about a radio in my life. They got so much right with the 880, yet a few things are so very, very, Very, VERY wrong. First the ‘right’: The speaker/amplifier is positively amazing for a radio of this size, and I’d even say overall sound quality rivals the RF-2200 by Panasonic (no I’m not kidding, it’s that good.) 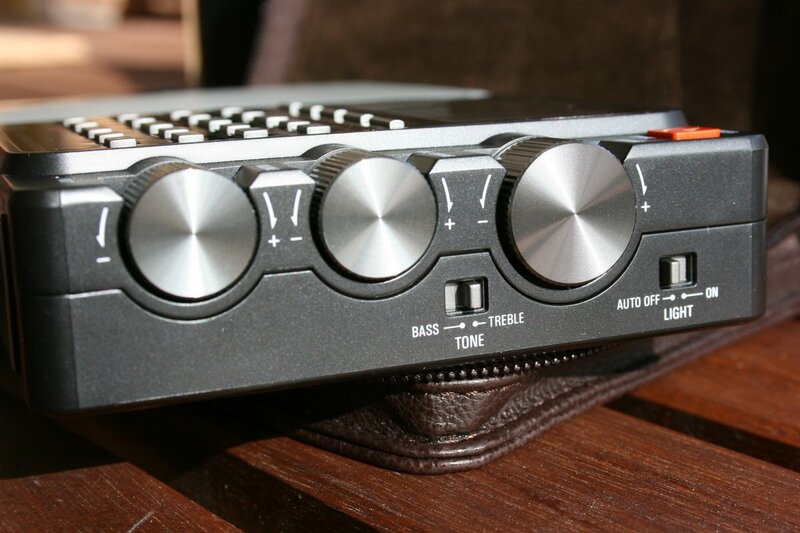 You can feel the power of the bass output when you hold it in your hand and the treble is clear and non-fatiguing and intelligibility is good. Put a strong station on AM and 9khz wide filter, and you’ll think it’s FM. FM is rich and lush. FM selectivity is also quite good. The quality control seems improved over the PL660, the ergonomics are excellent and the frequency display/tuning is the best short of a communications receiver. BUT, and here’s the big BUT for me–there’s one feature that makes me want to take a sledgehammer to it: As near as I can tell, there are not one, but TWO levels of muting or “soft squelch”. The first can be controlled via key #9 as you noted. (I also found that AM/SW/SSB each has an independent setting that is memorized—FM is not adjustable, btw.) HOWEVER, there is still a sort of “brick wall” muting/squelch that cannot be turned off, even if you set it to “00”, it will reduce volume on any marginal stations to near nothing on all bands, including FM. (And I haven’t forgotten the DNR setting (key 6)–it’s in the OFF position too). This brick wall “auto soft squelch” is disastrous for even moderately fading short wave stations as you can imagine, or for tuning for weak stations on AM, SW or FM. It renders the excellent selectivity of the FM nearly useless. Makes it practically impossible to peak tune TECSUN’s own AM loop antenna, because volume levels change in a completely counter intuitive way. In fact, it’s so severe on FM, try tuning in a marginal station at normal volume from 3 or more feet away and you’ll think the radio is turning itself off and on at random. TECSUN, why oh why torture us in this way???? I think what’s going on here is they’ve attempted to give an analog signals all the horrible attributes of digital—eg, complete drop-out of marginal stations, rather than hearing static or deep fades. Well, I suppose this is directed towards those with no experience with analog and maybe that is their perceived market. I am hoping someone can figure out a way to mod the radio, but I fear all those good digital features are tied together with the bad. It COULD be an amazing radio if this could be turned off completely. I wonder if your firmware vers 8820 is different from mine? Also, I discovered another hidden feature, when powered off, hold number 4 down, and you can adjust the battery level meter between 3.4 and 3.7 volts “full” reading (I believe that’s what it does). In addition, I noticed by holding down number 7, it actually adjusts the speaker volume of FM, not just line level. This is a nice thought as often FM is much louder than AM on some radios. 2) The radio cannot be used on anything except FM while charging with the Kaito brand charger. Combine this noisy charger with the ‘brick wall muting’, and even 50 Kilowatt locals are obliterated. buyers in the USA should be aware of the danger of buying tecsun radios overseas, if the radio you buy breaks or arrives with issues , you are responsible for shipping it back and that cost a lot of money. if you buy it from Kaito in the USA or another authorized dealer then your shipping cost to the repair center in southern california is much much lower. and you can talk to the repair department too. One more benefit of the HK-based sellers – you get the latest version of the radio. If you deal with Kaito directly (rather than through Amazon) I have had good luck with them, they are trying to do the right thing. However the big deal with the 880 is to make sure you get firmware 8820. Kaito and their customers got royally screwed by Tecsun sending them the 8819 version. Thank you. I do a lot of broadcast listening, so audio quality is important. I think you solved that for me, and I appreciate it! Thanks for the great review(s) and insights. After much interest in this model (pl-880) and reading the reviews here and the Yahoo 880 group I took the plunge and ordered from Anon-co and am now waiting for the Fedex person to dingle my chime. With all the info gathered I should be well on my way to trouble-free dxing. …can someone please tell me why did Tecsun not include an Air Band (VHF)? Maybe then you can compare the Tecsun pl 880 to the old Sony icf 2010!? How does it compare it to the Sony icf 7600 gr? If you want to listen to airband, I say get a scanner. Purpose built for that sort of thing. Great review, Thomas! Thank you very much! I bought a PL-660 not long after it was put on the market. I have never hated a portable more. Soft mute issues, screwy AGC, sync detect that either won’t lock or howls very loudly when it does. I have never been able to listen to any band at a decent volume without the cabinet rattling, rendering it unlistenable. I own five Tecsuns, all pretty good (esp. the PL-310), but the PL-660 does my head in. One would think that these problems were addressed in later productions but two friends who bought the PL-660 two years after I did complained about the same things. For SSB I prefer my Sangean 909. For everything else I still rely on my Sony ICF-2001D. I like that you have more control over the settings but at that price I think I will pass on the PL-880. I am more interested in the new Redsun, once they sort the SSB issues! 73. Thank you for th excellant review. You mention using the wider AM filters while listening using the ECCS technique. How did you select the 5 or 9 khz filter in SSB mode? Thanks for this comment–that was a mistake on my part. Just corrected it in the copy. 5 and 9 kHz is only an option in AM mode. The 4 kHz filter gives great fidelity on SSB (when properly zero beat). Thank you for the reply. I figured it was a mistake, but I had hoped that this option was there for wider BW on SSB. 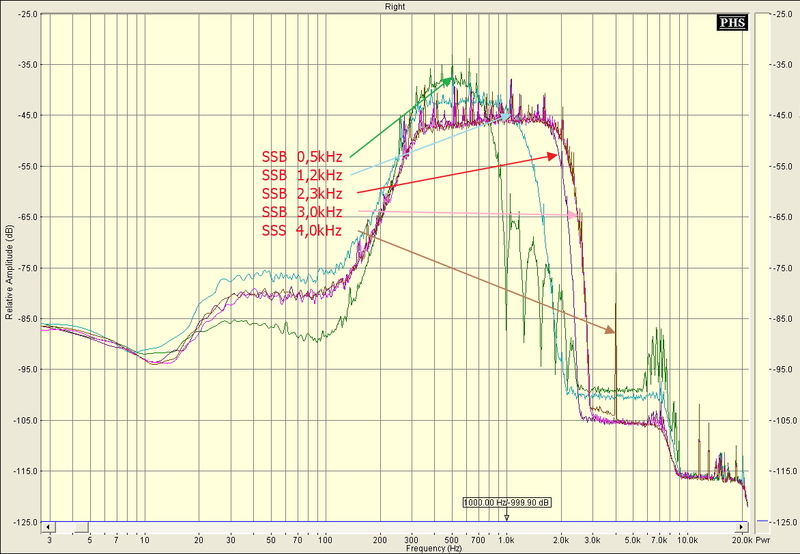 I do not agree that the fidelity is there on the 4 KHz filter, for either SSB or Sync. It is bad enough that the sync detector loses lock easily enough, but even when it is engaged, the high fidelity of the signal is destroyed by the 4 KHz filter limitation. My ears are treble challenged, and I hat it when manufacturers stop at 4 KHz for SSB, and 5 KHz for AM. Listening to the 9KHz filter in AM is fantastic, and everything you could want in a radio sound. But apply SSB or sync and have another listen with the 4 KHz filter. Very disappointing. I often listen to MW. I returned my first PL-660 because it had a powerful spurious signal blanking out a section of the MW band at around 940-970 (it wandered some). I thought that was an individual defect. The replacement PL-660 had better sound on MW than the first one, but still had that spurious signal blanking out part of the MW band. I gave it away to a gentleman who wanted to use it for SW only. The last I heard, he was very happy with it. Does your PL-660 exhibit this spurious signal on MW? Does the PL-880 exhibit anything of the kind? You would think that such an obvious problem would show up in reviews, but nobody mentioned it that I noticed. I mentioned it in a forum and the reply I got was “They all do that,” which alarmed me a bit. If they all do that, I would think someone would mention it. I will check my PL-660 when I’m back home. I just checked and did not noticed this on the PL-880. At the moment, I’m in a fairly RFI heavy area, though. Perhaps others will comment. Shoot me an email in 3 days if I haven’t replied with an answer on the PL-660 spurious problem. My email address is simply “thomas@” this domain name. You can also get it from the contact page. You are wise and kind and good. Awesome review. Is there some way you can sharing this so it can be printed out for writing notes and highlighting? Thanks for your time and efforts. I’m glad you liked the review. That’s a good question. There is a website I have used in the past for this sort of thing. It formats pages for good print copy. Thank you very much for all your time and efforts.